I was scrolling through my WordPress reader one typical morning and found this blogging tag on Sophie Dishman’s The Journey Begins. I thought, “This would be an interesting post to do” but never did it because of…you know, procrastination. 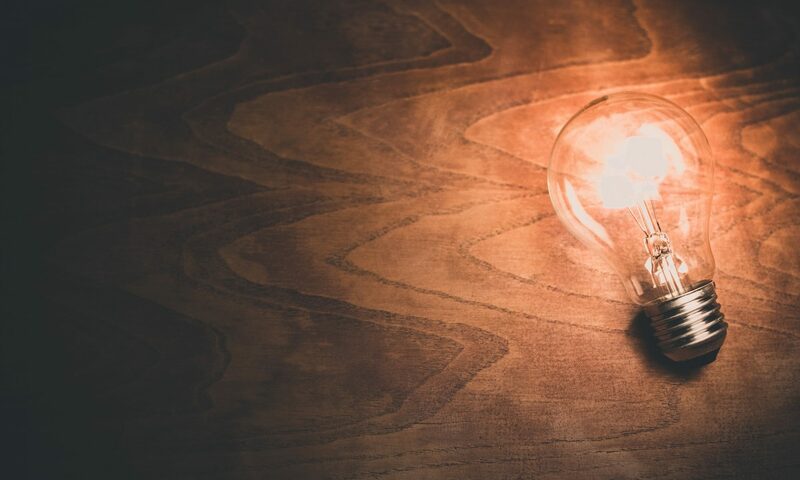 Since I’m bogged down with my writing projects (hence why there wasn’t a post last week…oops), I figured writing a fun post wouldn’t hurt. The way this tag works is that I have to answer the twelve questions below and then “tag” another blogger. On my laptop (sometimes on my kindle). I don’t have a place dedicated to blogging—or writing for that matter. Simply put, I write wherever I’m comfortable which may be at my computer desk, living room couch (or floor), garage, and etc. 2. Where do you find inspiration for your posts? That’s a question that not even I know the answer to. Sometimes I get ideas from other writers and writing communities that I follow via social networking sites (that’s how I got the idea for the post you’re reading and this Bookshelf Tag!). If I see something online that I think is interesting, than I’ll dedicate a post to it (for example: Is YA Fiction Becoming Repetitive? or Basing Your Reading Habits off of Reviews is so…Grade School!). Honestly, I think the biggest inspiration is my life. If I’m having troubles with something or have something to share, then I’ll write a blog post about it (for example: Backhanding Procrastination When Camp NaNo isn’t Motivational Enough and Fight the Monday Blahs!). I don’t get blogging ideas as easily as I do fictional ones unfortunately :(. It depends on how busy I am. Sometimes it can take me an hour to a week. I use to! I stopped recently in favor of focusing on my fiction (which is why things have been a bit haphazard lately). I use to plan out five posts for the month and outline what I wanted to write. Then, I’d spend each week getting one post ready (writing, editing, and formatting) for a set due date. 5. What kind of Camera do you use? If I ever decided to take my own pictures, I’d probably use my kindle, laptop, or Nintendo DS camera. Nothing fancy. 6. What editing programs do you use? 7. Do you use a notebook to track your ideas? I put my ideas in a dedicated folder on Scrivener or OneNote. Sometimes I jot them down on whatever I can find. It’s not a pretty process and I can loose most of my ideas if I’m not careful. 8. Do you take your pictures? I use royalty free stock photos for my blog. 9. What’s your favorite type of blog post to write? Two types: motivational posts because I like to help people and personal updates because they don’t take a lot of research or preparation (you just write!). 10. Who knows about your blog? My family knows. They may browse around every so often. Oh, and you guys! 11. Are you an organized or messy blogger? Messy. Very very very very messy. I’m not organized and I don’t plan them. But that’s the beauty of blogging! You get the real, imperfect, me. 12. Biggest blogging pet peeve? I read my posts over multiple times before I publish them to make sure there’s no typos or silly errors. Problem is, I usually find some seconds after publishing a post! It’s so irritating. Sometimes I edit them, but most of the time I get into the “screw it” mood. And that’s my messy blogging life! I don’t want to impose anything on anyone, so if you feel like doing this tag—go ahead. Don’t forget to link your post back to this one so I can check it out. Have you ever set a goal but didn’t do it because of procrastination or discouragement? Did you feel like total crap, too? I know your pain. I think that this behavior stems from a lack of accountability. So I decided to change all that by making some summer goals for myself. The whole point of this challenge is to make my goals public so that I feel more responsible in completing all or half of them by the deadline (September). For those of you who don’t know, Ruin is a fantasy comic that I’m working on. I just finished the third draft four weeks ago and plan to spend the entire summer editing the crap out of it. Then I’ll let go of it for the sake of production. The idea is to be able to write five books in the series. I’ve already wrote a rough synopsis for the sequel—I just have to flesh it out. Retaliation is a science fiction novel that I’m working on. I’m currently fixing some issues that I hope I can finish sometime this quarter. After I’m done “editing” (see #3), I’ll implement my notes into another draft. I’ve only read critical texts, college anthologies, and pricey textbooks this past semester. I need some aliens, ray guns, magic, espionage, and whatever other fiction I can get my hands before I go NUTS. Since I’m a slow reader, I’m making this one flexible. I’m looking forward to reading Rise of Empire by Michael J. Sullivan and Strange Magic by James A. Hunter. Another flexible one. I want more writing in my life, but I don’t want this to overshadow my other larger projects. I’ve already started writing a murder thriller that’s so dark and gruesome it scares me. After my blogging hiatus last year, I want to be more involved in the blogging community. The hope is that a blogger (or three) will be willing to allow me to post something on their sites. I’m actually already ahead in this one (no…I’m not cheating!). Again, it’s flexible because I don’t want this to overshadow my larger projects. If guest posting doesn’t satisfy my need to rejoin the blogosphere, posting once a week sure will. That’s 14 posts total! 9. Be more active on social media (Twitter/Facebook/Pintrist/etc). I feel like my social media feeds are lacking something: Me. Don’t get me wrong! I retweet, like, and comment (sometimes). I just think I should be a little more active—not spammy active—just mellow active. Yep, I’m planning on launching a podcast! I pretty much have all of the equipment save for the intro/outro music, media host, and editing software. You’ll hear more about this in the future so keep an eye out! And there’s my ten goals for this summer quarter. Although I’m aiming to get all of these done, I need to complete a minimum of five goals to win the challenge. Should be fun. You can use the same accountability method to help with your productivity too. Don’t forget to link back to this post! I’ll let you guys know how I did in September! It’s true, I’ve been silent for awhile (like a year). However, I wont bore you with the details because that is not what’s important. What’s important is you, dear reader/subscriber. Many of you have been genuinely concerned with my disappearance and have not only kept in contact with me, but have also encouraged me to make a return into the blogsphere. Well, I’m back and I’m going to put an emphasis on connecting with you and helping you in anyway I can. I’m offering an opportunity and some goodies as a way of saying thank you. In addition, I have a favor to ask and some general updates. I’m now offering guest posting opportunities to anyone who is interested. 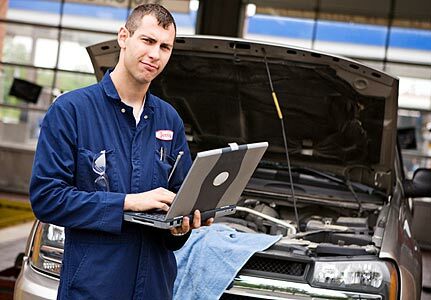 You don’t have to be an “expert” to post on the blog. I feel that everyone has something to share and will have the chance to do so—as long as they follow these guidelines. Guest posting is a great way to get your message out into the digital world. You’ll expose your message to people you probably wouldn’t have met if you had posted on your own blog. Bonus if those people actually share your message via their social networks! Why not give it go at Inky Tavern? I feel grateful that so many helpful subscribers have taken the time to sign up to Inky Tavern. I want to give back to you guys by offering you the gift of assistance. I find that the biggest challenge to writing a new story, or writing a current one, is keeping everything organized and well developed. It wasn’t until I started using a “Story Bible” approach to my writing did everything become easier. The templates that I’m offering you are two of the many world building templates that I use for my own writing. They are designed to give your world building efforts a jump start! I hope you find them useful! New subscribers will automatically get the gift by getting forwarded to a secret page. Current subscribers can get it by sending me a direct message or letting me know in the comments. I want to be more valuable to you guys! To do that, I feel that I need to figure out more about you. That is what this community survey is all about. In taking it, you help me and this site improve. You can take the survey below or take it via this link. Thank you! In other news, keep an eye out for an official post from me sometime this week! Also, many of my WIPs are nearing production stages which is REALLY AWESOME! Check them out here. Other than those things, everything is going great on my end! I would love to hear how you guys are doing. Tell me in the comments below. A New Tag…A Social Media Tag!! Copy the questions below and answer them. Then, tag five people to do the tag and notify them; make sure to leave a comment including your post’s URL for the person who tagged you, so that they can go read your post! Twitter: Describe your plot in 140 characters or less. Facebook: With the parents/grandparents flooding this site, who is your oldest character? WordPress: Designing your theme is the funnest part, so how would/did you design your book cover? Tumblr: Naming your blog is so difficult! What did you name your book? Spring.me: Get your weirdest questions answered. Ask your main character one weird question, and have that character answer. Pandora/Spotify: What kind of music are you playing whilst writing? If you don’t listen to music, what do you think your main character would listen to? Myspace: All good things must come to an end! What is one book idea that you were really into, but lost interest in? 1. Twitter: Describe your Plot in 140 characters or less. He was chasing down a murder story…until he became one of the victims. 2. Facebook: With the parents/grandparents flooding this site, who is your oldest character? There are a lot of older people in this story, but the oldest is Walter who runs a junkyard. 4. WordPress: Designing your theme is the funnest part, so how would you design your book cover? I think if I could make a book cover for Burwood it would have a murder object, like a hammer, smashing something off screen (or off-cover I should say) with blood forming the title. Gnarly, right? I thought so to. I don’t think its very original though, lol! 5. Tumblr: Naming your blog is so difficult! What did you name your book? To be honest with you, I never settle on a particular title. I usually just name my drafts after a symbol/idea that came to mind when I was drafting/outlining the story. The “symbol/idea” for Burwood is murder in a small town. 6. Spring.me: Get your weirdest questions answered. Ask your main character one weird question, and have that character answer. ME: Have you ever wished you could fly? Mysterious Murderer: I think this would be a different story if I could do that. 7. Pandora/Spotify: What kind of music are you playing whilst writing? If you don’t listen to music, what do you think your main character would listen to? I didn’t listen to anything while I wrote this, but Drew may listen to heavy metal or techno. 8. Myspace: All good things must come to an end! What is one book idea that you were really into, but lost interest in? You want to try? Knock yourself out. 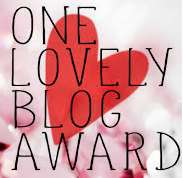 One Lovely Blog Award! Yipiee! It’s a rewarding feeling when I log onto my blog or open up my email to find awesome messages from my buds! It’s a wonder that there are people out there who even read what I write and I’m truly grateful to them. Vik Tory Arch and Kaleiyah-P are two such people. Both nominated me for the One Lovely Blog Award and said that they liked what I do here on the Tavern. Thanks gals! I’ll do my best to keep my posts coming for peeps like you. You must thank the person who nominated you and include a link to their blog. You must list the rules and display the award. You must nominate 15 (or more) other bloggers and comment on one of their posts to let them know they have been nominated. I hate the feeling of falling behind! I’ve had a busy August! Though I didn’t get much blogging done, I definitely completed a number of other tasks. August caught me by surprise. But, now that I know what I’m dealing with, I’m ready for September. Dude, What Happened to You?! So there I was finishing my last writing assignment for the week. After slapping on some finishing touches and glancing over my wording to make sure it was “Desiree Authentic,” I felt odd. Empty. Alone. A tumbleweed would’ve complement my emotional state perfectly. Yeah, like that! Thanks, Internet! INNER VOICE: You do realize its been weeks since you visited your blog. Right? What rhymes with knowledge but gives you head tumors? College. Which is also the reason behind my absence. At the beginning of the semester I knew I was going to have to sacrifice a ton of time in order to keep up with my studies. But I had NO IDEA it would take up so much time. Not to mention that I’m only juggling a third of my actual course load. However, as odd as this next bit may sound, I enjoy studying. The awesome part about college is that you can study what you like (within certain parameters). I like my writing, so, I study the craft. In fact, my classes are pushing me to be more creative. So, to all those who were wondering, I’m alive! What’s been going on in your neck of the woods? Do You Know What “Draft” REALLY Means? Let me tell you what I discovered after two continuous weeks of editing a short story. What do you do with vomit? Do you sit down and pick out the orange carrots and sweet peas? The purpose of the first draft is to get a general idea of how you want your story to go. Then you go to the second. Is that draft perfect? Of course not. Time for the third edit. Perfect? Nope. Fourth? …You get the idea. Never. There will always be a draft! A-L-W-A-Y-S! You may now throw your computer at the wall. Have you ever had something like this happen to you? Why do you think it happens to you? Lets talk in the comments! I’m Gunning you Down, August! Hectic, productive, eye opening, and oddly relaxing. That’s what July has been for me. I got more done this month than I originally planned! So…that’s what my August looks like.